JACKSONVILLE, Fla — A man was shot inside a MetroPCS on Sunbeam Road while trying to rob the store around 5:30 p.m., the Jacksonville Sheriff's Office says. Suddenly, the robber jumped from between two parked cars, police said. He had a handgun and tried to rob them, police say. The intended victim pulled his own weapon from his holster, police said. He fired several shots at the robber, hitting him three times. "It wouldn't leave the kids alone. It wasn’t leaving the yard. 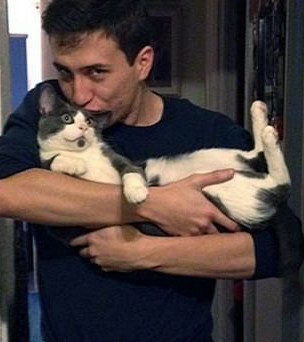 I tried to poke it, it was too busy running around chasing after the kids, I mean I wasn’t going to wait for anyone to show up,” he said. Miller shot the dog five times before it fell to the ground. "I shot it. It just slowly walked. Shot it right here again, it was still standing I don't know if I'm missing it or hitting it. It did yelp once, but I can't let it suffer, so I ended it right here and it just fell over by the gas can." 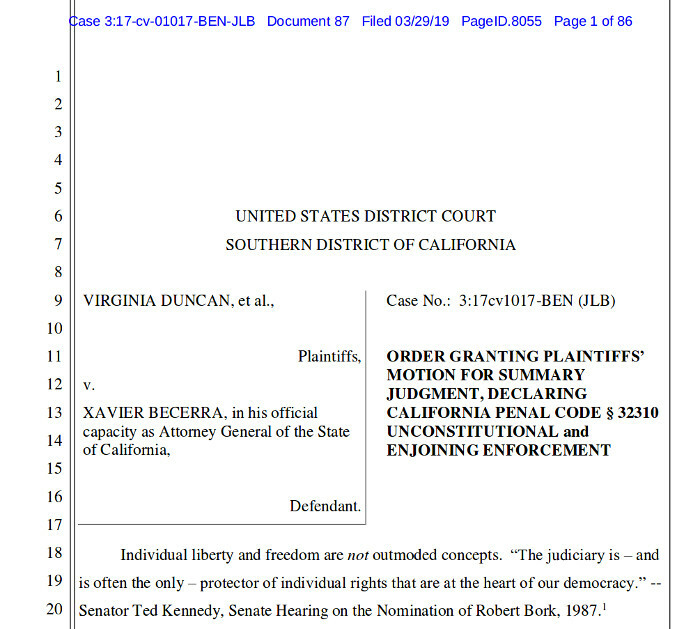 On 29 March, 2019, Judge Roger T. Benitez granted a motion for summary judgement against California Attorney General Xavier Becerra in the case of Duncan v. Becerra. Page 1: Individual liberty and freedom are not out moded concepts.“The judiciary is –and is often the only –protector of individual rights that are at the heart of our democracy.” --Senator Ted Kennedy, Senate Hearing on the Nomination of Robert Bork, 1987. Next, Judge Benitez shows how, even under the Ninth Circuit's convoluted "Tripartite Binary Test with a Sliding Scale and Reasonable Fit" the California ban still fails miserably. Page 74: The State argues that smaller magazines create a “critical pause” in the shooting of a mass killer. “The prohibition of LCMs helps create a “critical pause” that has been proven to give victims an opportunity to hide, escape, or disable a shooter.” Def. Oppo., at 19. This may be the case for attackers. On the other hand, from the perspective of a victim trying to defend her home and family, the time required to re-load a pistol after the tenthshot might be called a “lethal pause,” as it typically takes a victim much longer to re-load (if they can do it at all) than a perpetrator planning an attack.In other words, the re-loading “pause” the State seeks in hopes of stopping a mass shooter, also tends to create an even more dangerous time for every victim who must try to defend herself with a small-capacity magazine. The need to re-load and the lengthy pause that comes with banning all but small-capacity magazines is especially unforgiving for victims who are disabled, or who have arthritis, or who are trying to hold a phone in their off-hand while attempting to call for police help. The good that a re-loading pause might do in the extremely rare mass shooting incident is vastly outweighed by the harm visited on manifold law-abiding, citizen-victims who must also pause while under attack. This blanket ban without any tailoring to these types of needsgoesto show § 32310’s lack of reasonable fit. Near the end of the document, Judge Benitez eviserates the attempt by the State of California to define ordinary magazines as "a nuisance". Judge Benitez has done the Republic a valuable service. He has shown himself highly capable, and more importantly, seriously committed to the rule of law. The Nation, and no doubt, President Trump, are taking notice.